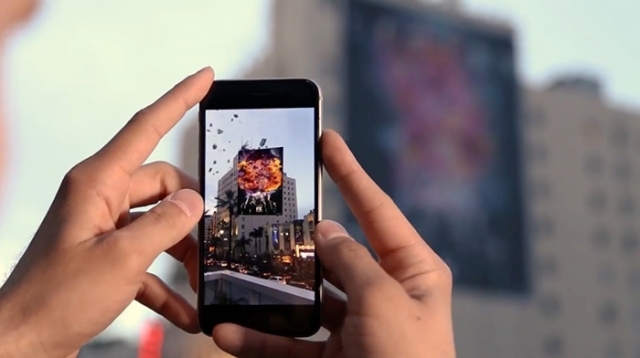 Augmented reality: the next frontier in digital advertising? When Pokémon Go released in July 2016, the full potential of the scale and impact that augmented reality applications could have on our smartphones was realised. Within a week it had already been downloaded over 15 million times and was a global phenomenon. But this was just the start for Augmented Reality. Fast-forward to September 2017 when the iPhone X is released. 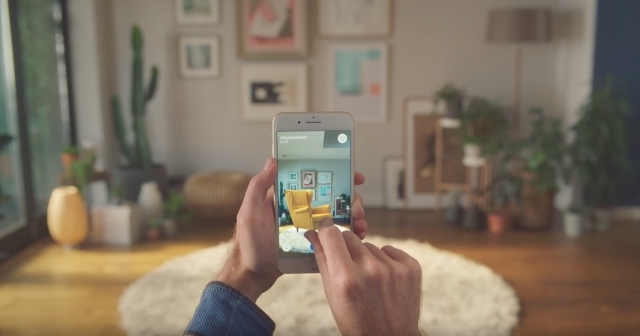 It comes with a whole host of new features including, you guessed it, AR. At the opening Key Note, Apple’s Phil Schiller described how the iPhone was now ‘specially tuned’ for the augmented world. This can be seen with a new vertical camera, upgraded gyroscope, latest accelerometer technology and a shiny new impressive 5.8-inch all-screen OLED Multi-Touch display. Of course, augmented reality has been around for a while, with Samsung releasing devices capable of the feat many years ago. But Apple have the power to take it to the mass market. This is key for its success and is ultimately what developers and brands want. By taking it global, Apple can move the technology from the corners of Silicone Valley into the palms of regular consumers. But what does this mean for brands hoping to tap into this new dimension of digital advertising? For brands like Warner Bros. and IKEA, this is becoming a reality. It would seem the digital marketing landscape is shifting towards a more immersive experience. This could increase sales as advertising becomes more interesting and accessible for all. At the TechCrunch Disrupt 2017 annual ‘Hackathon’ in San Francisco, augmented reality took centre stage as a team from Google and Snapchat looked to build a way to connect developers and advertisers to create ad experiences within an augmented reality environment. Sriram Bargav Karnati from ARAD said “We want it to enhance the experience for the user… most ads which are in-app are really annoying and provide a bad user experience. This is bringing real-world, contextual things into the app, and it’s not really annoying the user”. With some of the brightest developers and most forward-thinking marketing executives behind it, augmented reality really could be the next frontier in digital advertising. Brands are also looking at other clever methods of bringing their content to life. 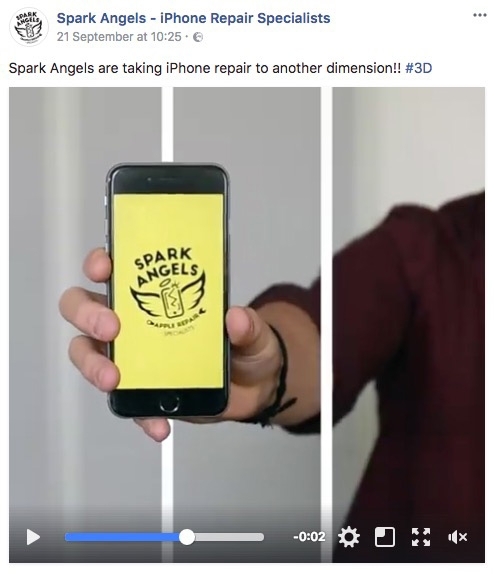 Just take this 3D video we at Rocket created for Spark Angels. The use of layers can be cleverly manipulated to make the object appear to ‘pop out’ of the screen. This is just one of many new tricks and techniques we are always trying here at Rocket to create truly amazing content that resonates with our clients and their consumers.